Valerie was born in Aden, to parents Merlyn and Tony Vaz who originated from Goa, India. She has a sister and her brother is the former Minister of State, Rt Hon Keith Vaz who has been the MP for Leicester East since 1987. Valerie is married to Paul Townsend. They have a daughter. Her family settled in Twickenham and then East Sheen. Valerie attended Twickenham County Grammar School, and Bedford College, University of London where she read Biochemistry. She also attended Cambridge University to undertake research. Valerie qualified as a solicitor in 1984. She has worked as a lawyer in local government in London Boroughs. She set up a community law firm Townsend Vaz and sat as a Deputy District Judge. One of her notable cases was Hammersmith and Fulham v Monk HL 1992. The case confirmed the principle that one of two joint tenants can serve a Notice to Quit on a landlord and end the tenancy. In 2001 she joined the Government Legal Service and has worked at the Treasury Solicitors Department and the Ministry of Justice. From 1986-1990 Valerie was a Councillor in the London Borough of Ealing and was Deputy Leader in 1988-1989. She stood as a Parliamentary Candidate in Twickenham in 1987 and in the European elections in 1999 in the East Midlands. Her community work includes being a school governor and member of a health authority. Valerie was a presenter/interviewer for BBC TV Network East in 1987. Valerie is the MP for Walsall South since 2010 and reelected in 2015. She was elected and served as a Member of the influential Health Select Committee from 2010-2015 which published 41 reports. She was a member of the Regulatory Reform Committee from 2010-15, House of Commons Governance Committee from 2014-15. In the 2015 Parliament Valerie has served on the Science & Technology Select committee from and 2015-2016 currently serves on the Environment, Food and Rural Affairs Select Committee. Valerie is an elected member of the Commonwealth Parliamentary Association (CPA) Executive and then the Finance, Audit and Remuneration Committee (FAR) sub-Committee. She is also the elected vice-chair of the Parliamentary Labour Party (PLP). 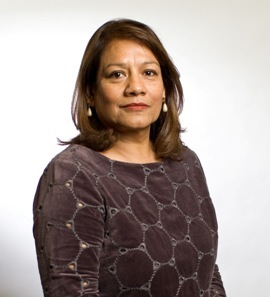 Valerie chairs the All Party Parliamentary Group (APPG) on Epilepsy and is a member of the APPG among others on the British Library, Burma, Classical Music and Yemen. In Parliament, Valerie has presented two 10 Minute Rule Bills. The Epilepsy and Related Conditions Bill (2010) and the Adoption (Leave, Pay and Allowance Arrangements) Bill. (2011). Valerie has worked with Ministers to successfully include elements of the Bills in the Children and Families Act 2014. Valerie has published reports on ‘Obesity and Diabetes Programmes in England: Capturing the State of Play’ in 2011, ‘Instruments on Planes’ with the Incorporated Society of Musicians in 2012 and the ‘Use of Higher Rate Numbers by Government Departments’ in 2014. Valerie visited Burma in 2013 as a member of Mr Speaker’s delegation and met with opposition leader Aung San Suu Kyi, the President and members of civil society. In 2015 Valerie was a member of the UK CPA delegation to the Commonwealth Heads of Government Meeting (CHOGM) historic first Women’s Forum in Malta. In October 2016 Valerie attended a 4 day delegation to Canada as an elected member of the Commonwealth Parliamentary Association (CPA). She is currently a member of the Law Society, Friend of Walsall New Art Gallery, Kew Gardens, a Member of The National Trust, The Wildlife Trusts and Cadw (Welsh Heritage). Valerie was appointed the role of Shadow Leader of the House in October 2016.